Kathmandu [Nepal], Apr 8 (ANI): The Indian Embassy here paid respect to freedom fighter Begum Hazrat Mahal on her 140th death anniversary, by laying a wreath on her tomb on Monday. New Delhi [India], Feb 16 (ANI): While the entire world is denouncing the terror attack in Pulwama, for the Pakistani media, the suicide bomber who carried out the ghastly killing of 40 CRPF personnel is a "freedom fighter', highlighting their bizarre mindset. 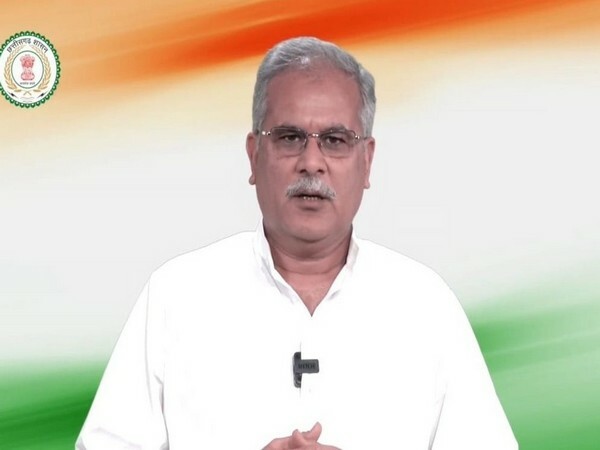 Raipur (Chhattisgarh) [India], Jan 30 (ANI): Justifying his government's decision to put pension for MISA detainees on hold, Chhattisgarh Chief Minister Bhupesh Baghel said these people are "not freedom fighters." Port Blair (Andaman & Nicobar Islands) [India], Dec 30 (ANI): Prime Minister Narendra Modi, who is in Port Blair, remembered the brave heroes who laid down their lives for the country during the freedom struggle. New Delhi [India], Dec 26 (ANI): Bangladesh High Commissioner to India Syed Muazzem Ali on Tuesday visited a group of Bangladesh freedom fighters, who are receiving free medical treatment at the Army Hospital here. New Delhi [India], Oct 22 (ANI): Bharatiya Janata Party (BJP) national general secretary Ram Madhav said that the Congress party deliberately ignored the freedom fighters only to promote the Nehru-Gandhi family. Koppal (Karnataka) [India], Sept 10 (ANI): It is said that learning has no age bar and this statement goes perfectly well with a man from Karnataka's Koppal, who aspires to complete his Doctor of Philosophy (PhD) degree at the age of 89. New Delhi, [India] Aug 11 (ANI): Remembering one of India's youngest freedom fighters, Khudiram Bose, on his death anniversary, Twitterverse poured in their heartfelt tributes on his 110th death anniversary. Hyderabad (Telangana) [India] Jun 18(ANI): In a sweet gesture, Telangana IT minister K T Rama Rao on Sunday visited the house of freedom fighter Mitta Yadava Reddy to wish him on his 88th birthday.